And who will fare best now? Turnbull, Shorten or the minor parties? The pound has plummeted, global markets are completely shaken up and a UK Prime Minister has resigned. The referendum voting in favour of the Brexit has caused uncertainty throughout the world, but what is certain is the fear will work cohesively in the Turnbull campaign which has been projecting the need for a strong, stable economy and an alternative to the "chaos" a Labor government would deliver. 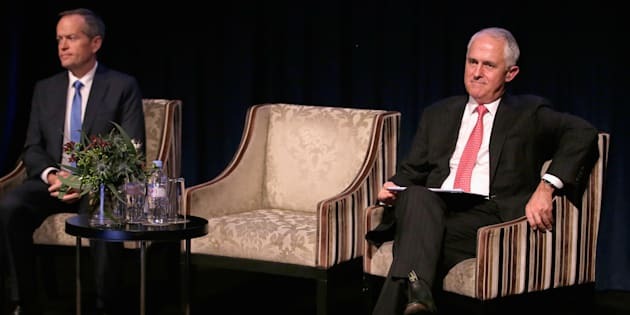 Prime Minister Malcolm Turnbull and Treasurer Scott Morrison addressed this in a press conference on Saturday, with Turnbull warning Australians the Coalition are the only party able to deliver a stable government. "In an environment where there is downward pressure on confidence, where there is increased uncertainty, it is more important than ever to ensure that we choose on July 2 a stable Coalition majority Government with a clear national economic plan," Turnbull told reporters. Morrison said the Coalition would not be increasing the tax burden on businesses and deemed Labor's 10 year economic plan irrelevant. "The next four years and what will happen with our Budget, what will happen with our economy, what will happen with jobs is what matters. Over the next four years, our opponents are saying there'll be higher deficits, there will be higher debt and there'll be higher taxes," Morrison said. But the vote in favour of the Brexit was a vote against institutions, said Michael Rafferty, Economist and Associate Professor of International Business at RMIT. And leaders of the major parties should take this into account with one week to go before voters hit the polling booths. "The longer term message is the people who voted for Brexit were in the working class areas that have suffered the most from economic adjustment and austerity after the global financial crisis. It's a massive vote against the austerity," Rafferty told The Huffington Post Australia. "And it's a vote against the establishments. I think that is the message the European Commission will probably get. I think [our politicians] better learn from it because if they don't you're going to see even further movements away from major parties in primary voting." On Saturday a ReachTel poll revealed 20 percent of Australians will vote for minor parties instead of the Coalition or ALP. The trend is growing from the 2013 election which saw the establishment of the Palmer United Party and non-career politicians such as Ricky Muir and Jacqui Lambie. As the Nick Xenophon Team continues to threaten a number of electorates in South Australia, the rise of the retail politician is becoming only more appealing to many voters. "More and more people are becoming completely unmoored from traditional voting," Rafferty said. With one week to go, only time will tell how many seats will be lost across the country to minor parties. And fear or fury will decide.